British Council Jobs 2017 Pakistan Apply Online www.britishcouncil.pk. For all those applicants who are looking for the jobs in British Council is seeking to hire the energetic, responsible and caliber applicants are required to fill out the single post named (Exams Operations Manager) is the post which requires to be filled by the applicants if they meet the said criteria fully. 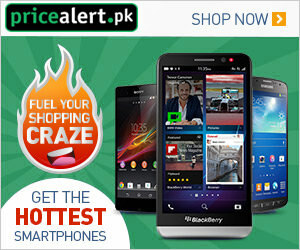 Location of this post is in the capital of Pakistan namely Islamabad. 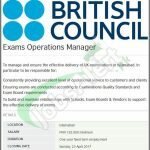 Applicants have to look after bundles of the responsibilities such as to manage and ensure the delivery of UK examination in Islamabad, provision of excellent operations services of customer and clients, to make sure the authority that exams are conducting according to the Examination Standard Quality and much more are needed to apply for the above post. Master's/Graduation degree holding applicants are welcome to apply. Attractive salary package of PKR, 150, 000/ will be paid to the applicants. Duration of this post is for one year on fixed term employment. Now, I will let you know about it's further details below. Applicants who meet the said criteria are required to apply online form the official site of British Council or from the given link below. Last date for applying is 23rd April 2017. Applying online will be entertained only. So, for more jobs stay tuned with this page always and get your own choice jobs and sectors with applying facilities and complete guidance. So, get more and more jobs every day.